Ferodo's Sinter Grip Road Performance Brake Pads are the best road / street brake pad available. Sinter Grip Road ST brake pads have 3 times the pad life of competitive organic products with 20% less disc wear than other brands. 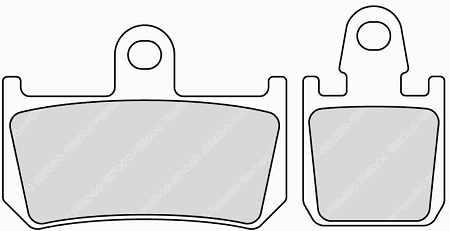 With copper-coated back plates and the high mechanical bonding possible between friction material and back plates you want in a brake pad, you will be impressed with these brake pads. For Stainless Steel Discs Only.